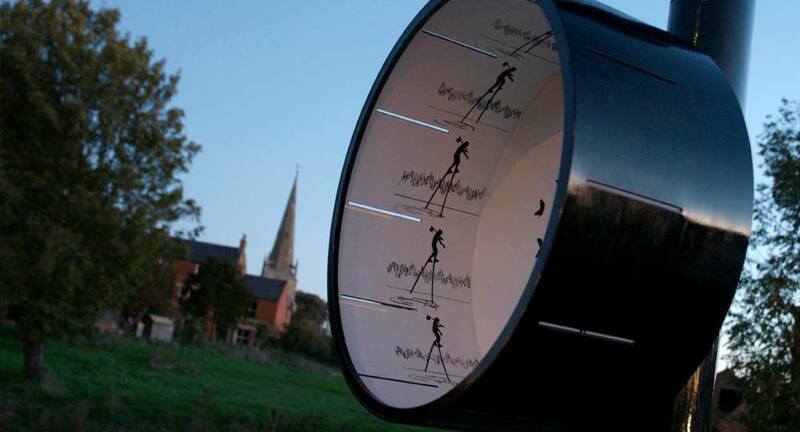 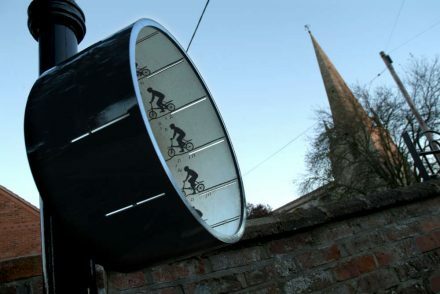 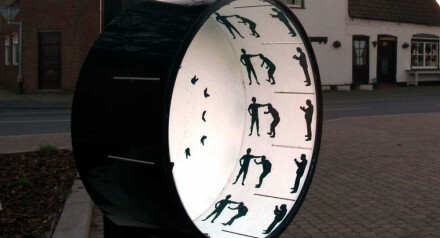 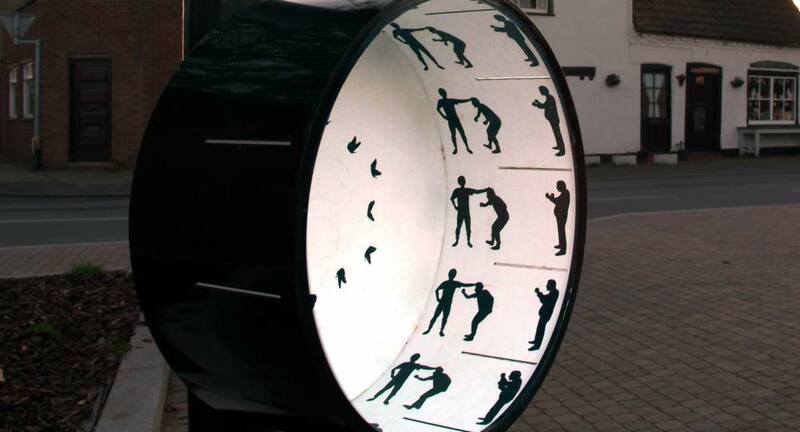 ‘Zoetrope’ interactive public art along a sculpture trail in the Lincolnshire village of Billinghay. Designed by Electricwig. 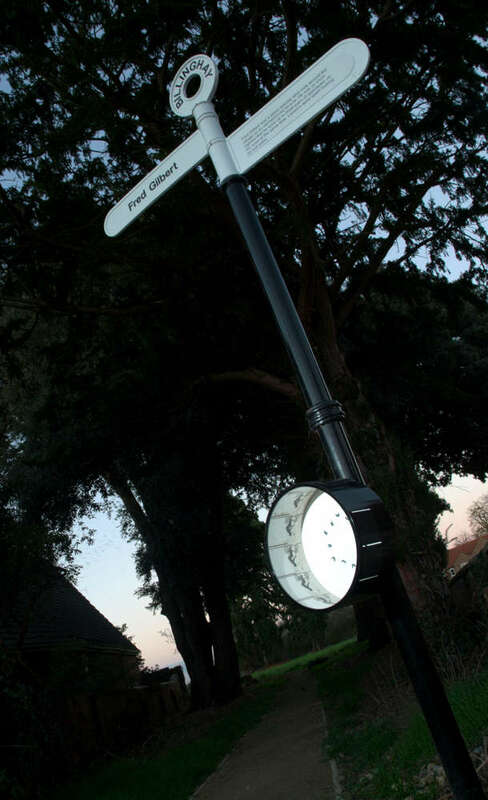 Fabricated and installed by Smith of Derby. 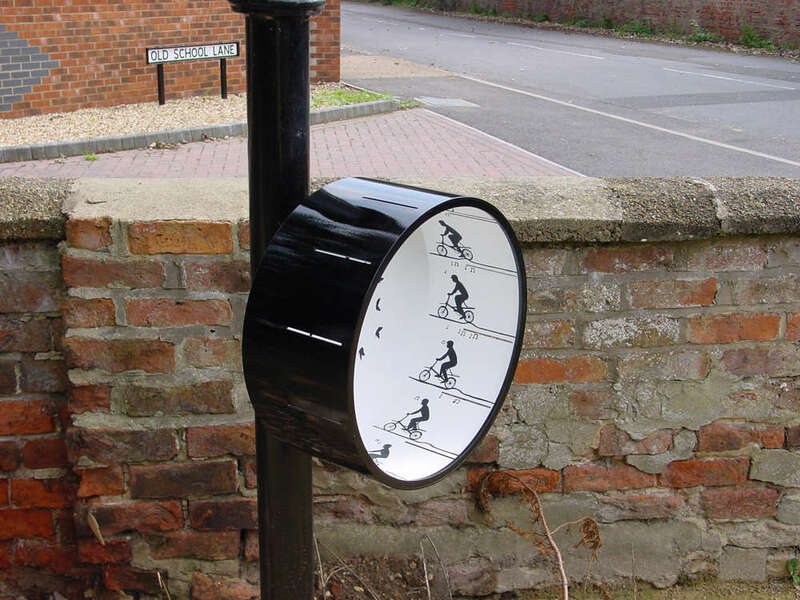 This ‘edutainment’ feature is a defining piece along a sculpture trail in the Lincolnshire village of Billinghay. 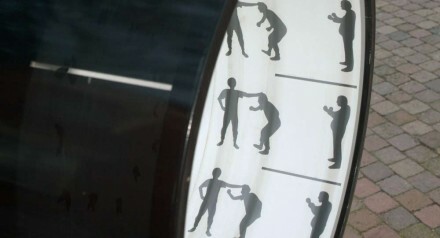 The images in the zoetrope allow viewers to experience a moving image through safe interactive art. Designer, Electricwig, engaged Smith of Derby to manufacture this important kinetic piece as part of a regeneration project for the village. For this application, zoetropes have been used to intrigue and animate stories written on finger signs, creating not just objects of curiosity, but also conversation pieces that prompt visitors and locals to interact together. 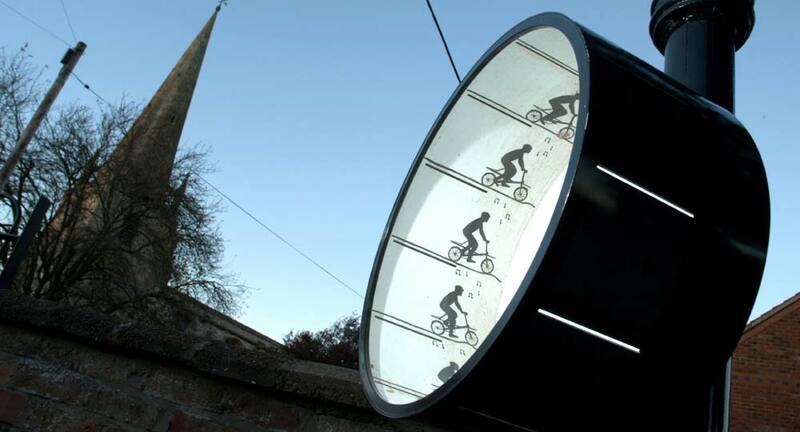 The resulting zoetrope is an entertaining, educational and engaging kinetic piece of engineering that enlivens the sculpture trail.